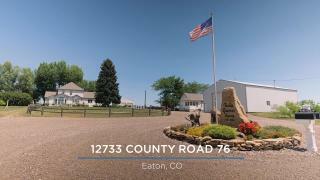 Stunning property, 2 lots, 2 homes, fabulous condition on 6.38 acres. Come home to the country & enjoy the view of the majestic Rocky Mountains from your own private vineyard. This home features a David Stimmel designed kitchen w/solid cherry cabinets, Granite cntrtps, Custom flooring design,lLarge pantry room, Italian style wine cellar, Huge shop 36'x62' w/14' high door, Vintage Barn, Chicken Coop, Heated Greenhouse, 2 car garage, Mature trees, 2 patios, Firepit area. 2nd home is a 1bd/1ba.